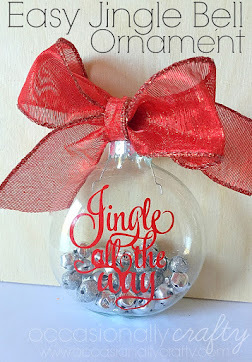 Make this easy Jingle Bell Ornament with 15 minutes and just a few supplies! Hey everyone! 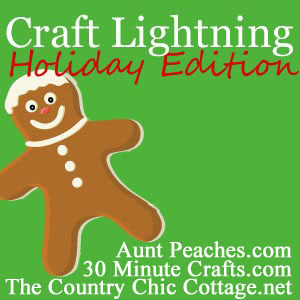 It's time for another round of Craft Lightning! 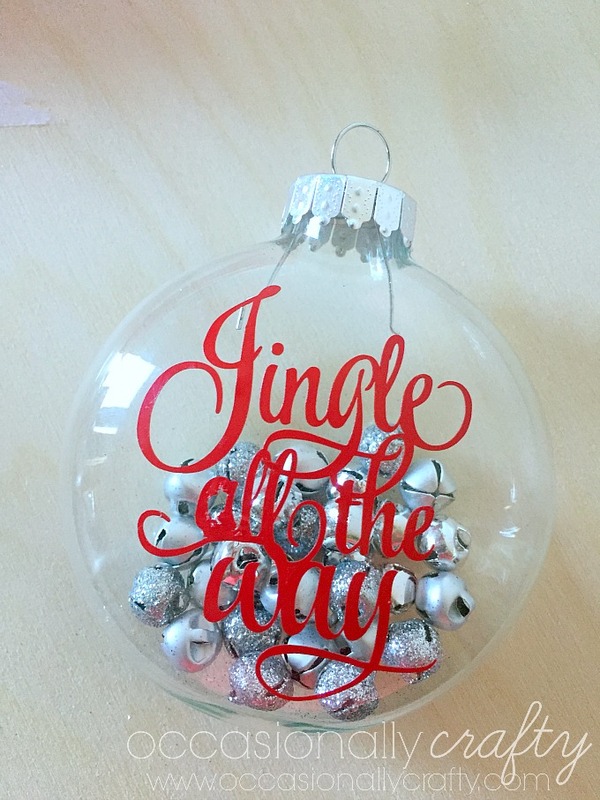 Today I'm sharing how to make this easy vinyl ornament. 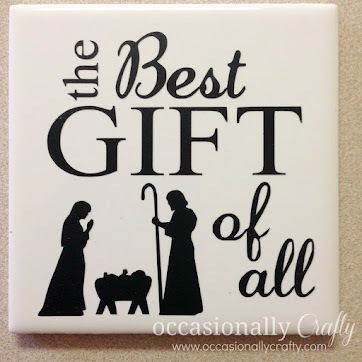 These are great to give as gifts, and there are so many different designs you could make. 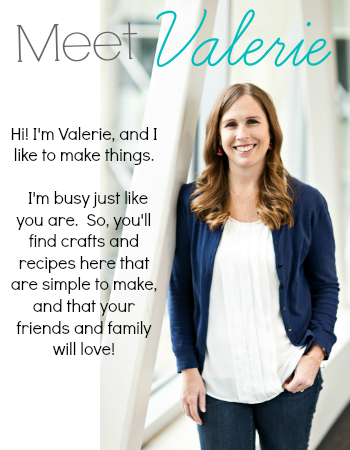 T his design uses a .svg cut file from Kerri Bradford Studio. 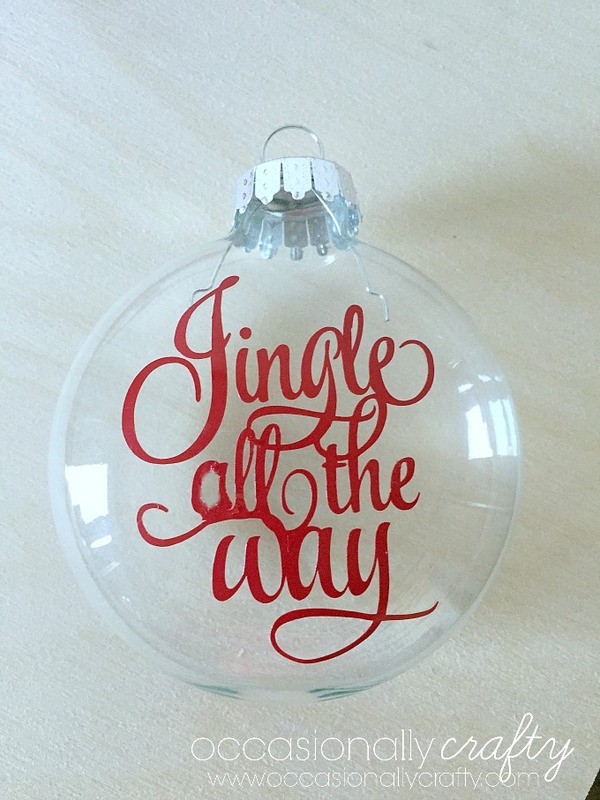 Download it, size it to fit your ornament, and cut it on your vinyl cutter. I used red Oracal 631 vinyl on my Sihouette Cameo. Weed away the excess vinyl. Apply transfer tape to the top of your design. 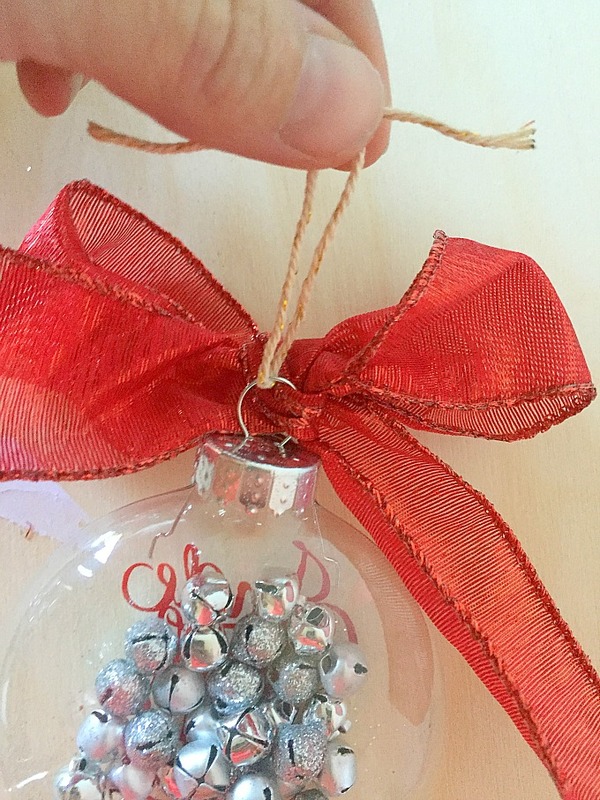 Then remove paper backing and move your design to the ornament. This is a glass M&M style ornament (flatter instead of the big round ones), but you could use any kind of plastic or glass ornament. . Make sure the design is centered, then apply the design with a scraper or credit card to make sure the vinyl is adhered fully. 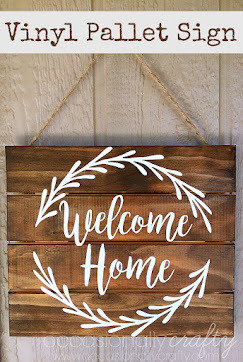 Remove transfer tape, leaving vinyl behind. Don't mind the fact that my "a" got a little messed up. 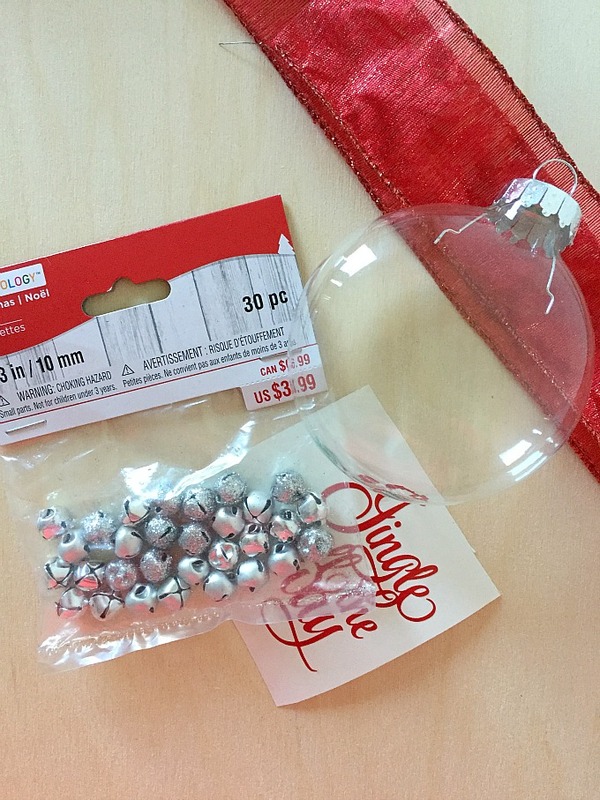 Carefully remove the top of the ornament and pour mini jingle bells inside. Then replace the ornament top. Finish off by tying a big sparkly bow in the front, and a small loop for hanging with thread or baker's twine in the back. 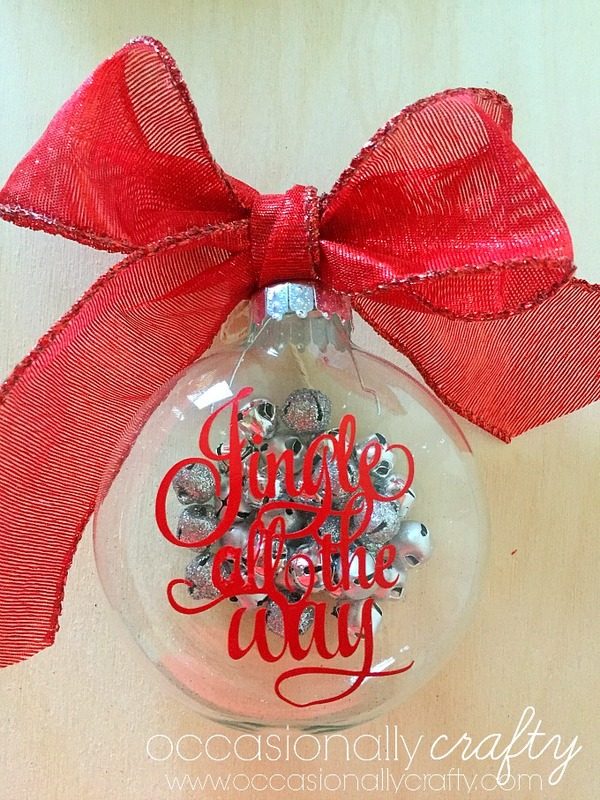 Who would love an ornament like this? Start now to be ready for the holidays! 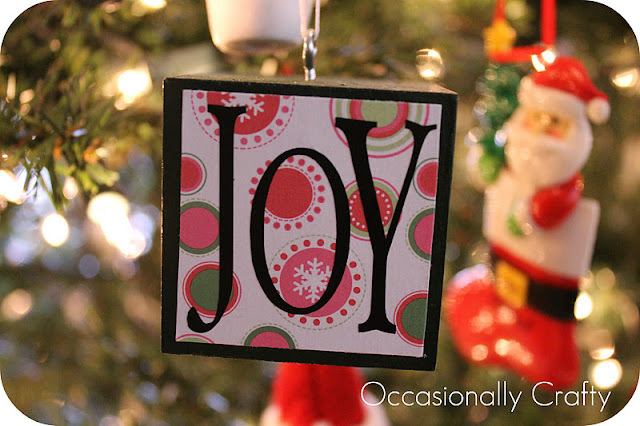 or these easy "Joy" ornaments you can easily make at home too!